CALL TOLL FREE 1 – 888 – 732 -3077 for specials & availability. 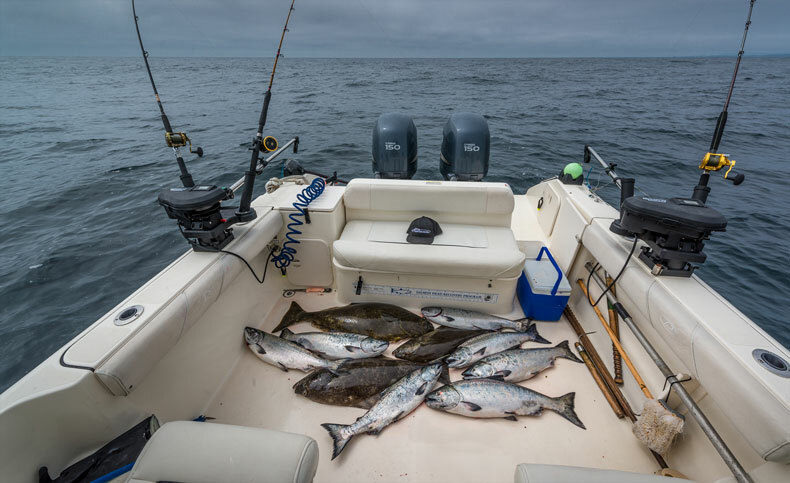 Combine Salmon & Halibut Fishing with Whale Watching. Catch Salmon or Halibut GUARANTEED. Halibut fishing on the off-shore banks with either a 8 hour or 10 hour Charter Fishing package. We GUARANTEE you will catch salmon or halibut. For the serious sport fishermen. Off-shore Banks Trophy Halibut Fishing and Salmon Fishing.